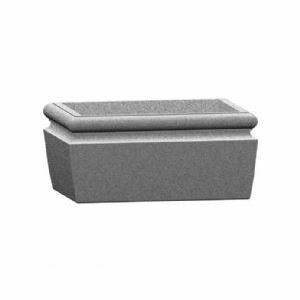 Wheatland rectangular concrete planters exceed any industry standard for strength and durability, that is why so many businesses and organizations choose our high quality precast concrete site amenities. All concrete and GFRC planters come with drain holes for proper drainage. Dimensions 72" x 72" x 30"
Dimensions 48" x 48" x 22"
Dimensions 36" x 36" x 22"